SENTRI pass applicants who are conditionally approved will be able to schedule their SENTRI interview. The interview must be held at one of the enrollment centers. 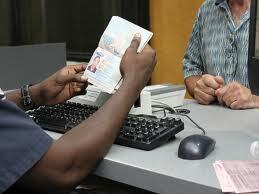 You will be are interviewed by both USA and Mexican customs officers. The questions will be similar to those on the SENTRI application form. You might be asked why you want to apply for a SENTRI pass or to verify your names and home address. The interviewing agent will explain the rules of the SENTRI program and answer your questions. Transporting forbidden goods through the border or using the SENTRI lane with passengers who are not SENTRI members might jeopardize your status and your SENTRI pass might be revoked. At the interview you will also be fingerprinted and photographed. The documents you need to present at the SENTRI interview are described in your conditional approval letter. You can find it once you log into your profile. If you cannot locate or print it, please contact us and we will email it to you. Usually, supporting documents include passport, birth certificate, PR card and visas to prove your citizenship or permanent residence in either the US or Mexico. If you are enrolling your vehicle in the SENTRI program, please make sure to bring its registration papers and your driver’s license. It is a good idea to have ready a proof of your address such as a utility bill and finally, your conditional approval letter. At the interview you will be notified if you are approved for the SENTRI pass. The SENTRI pass itself will arrive in the mail 7 to 10 days after the interview. Once it arrives it must be activated online following the instructions sent with it. In case you are applying for your family, make sure to schedule all members for an interview together in consecutive time slots. If you are a single parent and you have custody or parental consent documents you should take these to the interview as well.